When Minnesota acquired Butler from the Chicago Bulls, the Twin Cities were thrilled, but Butler was just as excited to be reunited with coach Tom Thibodeau. The two share equal intensity like few other coach-player combinations in the NBA, and Butler could very well be the key to upsetting the apple cart in the Western Conference. The small forward will match up with the Houston Rockets' likely MVP James Harden in the first round. 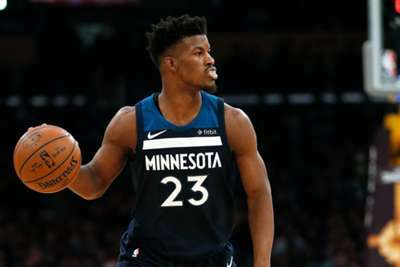 Butler held Harden to 36 per cent shooting in four games this season, and he could very well lead an upset for the Timberwolves. The Portland Trail Blazers are an isolation team. They are last in the NBA in assists per game at 19.5, and this plays right into Holiday's hands. One of the most efficient defenders in the league, he will lock up Damian Lillard and attempt to make Portland one-dimensional. If his defense helps the Pelicans get to the second round, the combination of Holiday and Anthony Davis could be scary for the Golden State Warriors or the San Antonio Spurs. NOP awaits the result from Portland for their playoff seeding and SAS will take the West's #7 spot in the #NBAPlayoffs. By the same token, whenever Curry returns, the Warriors could be back to their old selves. The team lost six of 10 after the two-time MVP went down with a knee injury, and it is no-brainer that their offense is better when he is on the court. You might say the only way to beat the Warriors is before Curry gets back.